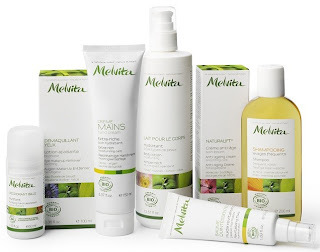 Melvita - French beauty products committed to organic, bio-diversity and ecological consciousness. 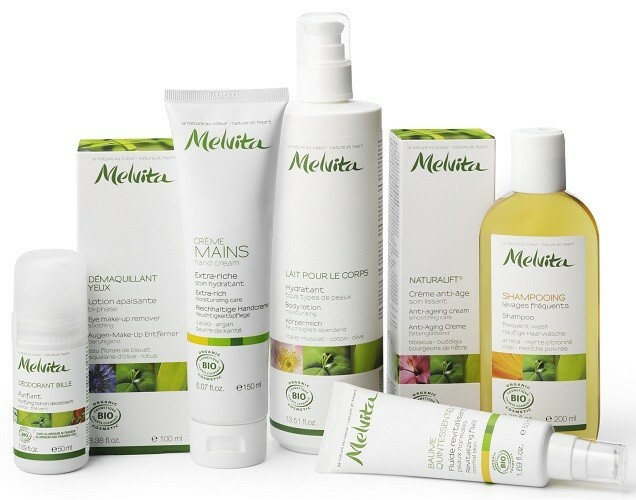 With a 25 year history, MELVITA is one of the leading brands of natural and organic cosmetics in France. This is serious stuff people. True eco - friendly, heath friendly products that use the benefits of nature to bring beauty - the way it should be. No nasty chemicals - no worries. I have been using and enjoying the Borage Oil from the Plant Oils collection. Melvita Beauty oils are rich in nutrients and essential fatty acids that help to repair, regenerate, and heal even the most delicate skin. Borage oil is well-known for its anti-aging qualities, restoring the skin's youthfulness, softness and elasticity. When I use Melvita products, I am keenly aware of the quality and healthful properties. Melvita products would make a great gift for yourself or loved one. Get prepared and get through the cold weather season with nice healthy plant based goodness for the whole family. One Lucky winner will receive a $30 Gift Certificate to spend at Melvita! *Follow me @jamaise at Twitter & Tweet this : RT @jamaise #GIVEAWAY #WIN - A Melvita $30 Gift Certificate #holidaygiftguide http://bit.ly/bPxN1v ends11/10 tweet each day for one entry each ! Disclaimer: Melvita provided me with all information and product to review. I was under no obligation to review it if I so chose. Nor was I under any obligation to write a positive review or sponsor a product giveaway in return for the free product. These views are my own. I follow your blog and one product I'd like to try is the Extra-Soft Body Scrub - Orange, Cane Sugar, Apricot - Exfoliant Jelly. Thanks. Visited Melvita site and found they carry a lot of different products. Their product discriptions include the ingredients and there are different ways to find the products that interest the shopper. I am a public GFC follower. Liked Melvita on FB as Judith B.
I have never tried Melvita, but have always looked at it and tried not to covet. I would be very excited to win this giveaway. These Melvita products look and sound fabulous! I would love to try all of them!! I follow your blog. I have never heard of Melvita till now..thanks for introducing me to this great organic line! I love that they are organic! I would love to try their Softening shower gel and their Protective Shower Gel!